You are here: Home › Products › Photographs › Green Nomads › Landscape › Long Gallery 2016 › Dome Rock, Boolcoomatta, SA. 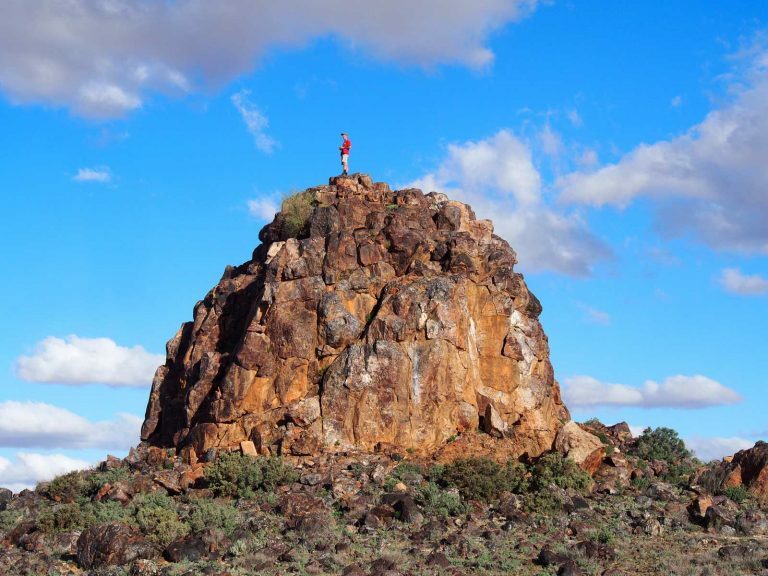 …Dome Rock, 1715 million years old, in Boolcoomatta's west. In 2010, for the first time since 1924, rare and beautiful yellow-footed rock wallabies, like the one we had seen at Arkaroola, were spotted back on Boolcoomatta.